Before I jump into post mortem, I want a say a few things up front. 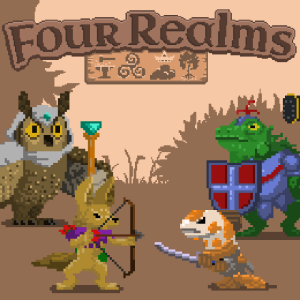 Four Realms is primarily a personal project with a budget of basically zero. This is perhaps the biggest mistake, but will definitely explain some of the choices made on the project. Hugebot! is a garage developer. What do I mean by garage? Well, indie developers can really be just about anybody. What’s it take to be independent? Not published by somebody? Well, hello EA! Not big? How big is big? Is Bethesda big? By garage developer I mean any game developer who has a budget that is at or near zero. Nobody’s getting paid, and you don’t have enough money for advertising. It’s a team with computers. So if you are bigger developer, this info is likely not relevant to you. Still reading? We’ll start with the good, since it’s short and easy. Then dive into the bad, which be long, terrible, tedious, and forehead smacking bad. But good information for any garage developer truly looking learn. 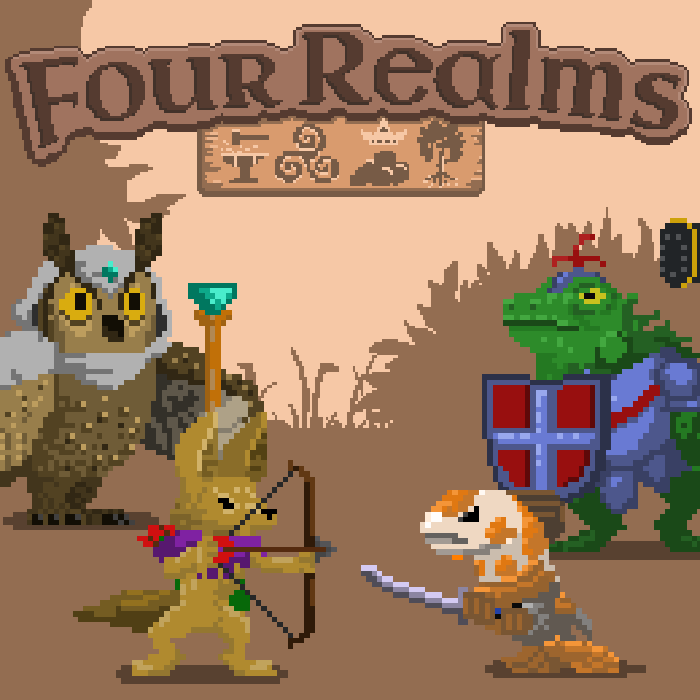 After four years, Four Realms is finally released! Abilities: Each attack has a different elemental attribute. The Adventure Begins October 24! Four Realms is leaving Steam Early Access and entering full release on October 24! After roughly four years of development and the help of some awesome players, the game is nearing completion. Of course what’s a release with out a trailer. Here is the fourth Warden trailer, the Little Spotted Kiwi! You’ve read it all before. “Kickstarters are hard work!” “The campaign is an emotional rollercoster!” “You meet so many amazing people!” I am here to tell you that is all true, but I want to shine a light on the more unspoken part of Kickstarters, especially for video games. Most are unsuccessful. Everyone knows this, but those that don’t succeeded usually don’t do a write up. So here I am to help you make fewer of the bigger mistakes and shed some light on some of the less discussed facts. And I hope to add a few different perspectives for indies like me, the true garage indies. Working on a passion project with a shoestring budget and a prayer.